Whether you’re having a few friends over and want to make the occasion extra special by adding a few decorative elements, or you’re celebrating an event in your home and are presenting your guests with a delicious multi-course dinner, you’ll want to make sure your home looks its best. 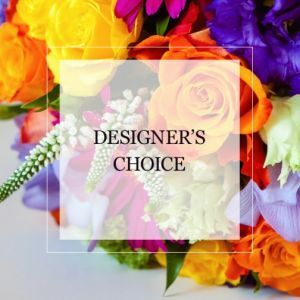 Flowers are one of the best ways to decorate for the event, and there are simple but effective design touches you can add to the floral arrangements you choose to showcase your personal style and decorate for a dinner party theme. If you want the flowers you select to be the main attraction of the dinner table, you can place your favourite flowers in two or three vases so that there are blooms all along the centre of the table instead of only in one spot. This also gives you the chance to display more than one flower colour on the table. For instance, if you’re using neutral colours for the rest of the party décor, brightly coloured flowers in pink or orange can make the table more inviting. If the table setting includes metallic shades, flowers in jewel tones, such as purple or burgundy, make the dinner party décor more elegant. The type of flowers that you choose for your arrangements also sends a message to your guests. Roses are one of the most refined and beloved flowers, and if you use roses for the centrepiece or to accent the tables where drinks or appetizers are served, your friends and family could get the impression that you love them very much and are happy to celebrate with them. Roses are also associated with romantic affection, which makes them the perfect bloom for a dinner party celebrating a wedding anniversary. If you’re having a dinner party to commemorate a happy occasion, such as a graduation, flowers that symbolizes happiness, such as sunflowers or tulips, are a great choice. Remember that smaller accent flowers can also make your dinner party décor stand out. Place baby’s breath around each place setting to add texture to the table setting or attach Queen Anne’s lace around pipe cleaners and use the decorative ring of flowers to wrap around the cloth napkins at the table. You can also use small flowers or flower petals to decorate the place cards for the dinner party to bring even more attention to the detail you’ve put into this celebration. It is also a good idea to combine fresh herbs with the flowers you’ve chosen. This could give the dinner party space a pleasant scent and is a great way to add a creative touch to your floral décor. Herbs, such as lavender and mint, work well with roses and carnations and can make your guests feel relaxed and refreshed. You can also take these herbs to the table where guests can prepare their beverages and offer them as a garnish for cocktails and spritzers. While flowers are often used for decoration, there are also several blooms you can purchase that are both decorative and edible. Herbs, such as thyme and cilantro, make great bouquet and floral arrangement accents, but they can also be added to salads and soups, and your guests can add as much or as little as they want if you place the herbs near their plates. Begonias are edible as well and have a citrus-like flavour that works well if you’re seasoning steamed vegetables or want to add another delicious element to your salads. These accents are likely to impress your loved ones and will help you make perfect use of your favourite flowers for your next dinner party.